Frustration should not be a main ingredient of payroll. You can, and should, expect better. With Commonwealth, you’ll have a relationship experience with a frustration-free promise. When you call our office, we’ll know your name… and probably even your dog’s name. Commonwealth Payroll & HR has earned the trust and confidence of clients through a combination of our technology and our service. Our 98% client retention rate from year to year proves this point. What service is right for your business? When it comes to company size, headcount doesn’t tell the whole story. There are factors that do. How tech-savvy are your employees? Do you have a lot of variable hour employees? What percent of your employees are on direct deposit? Do your employees have time charts? No matter what the answers to these questions, Commonwealth can custom tailor a system to meet your needs: Commonwealth Payroll and Managed Payroll. 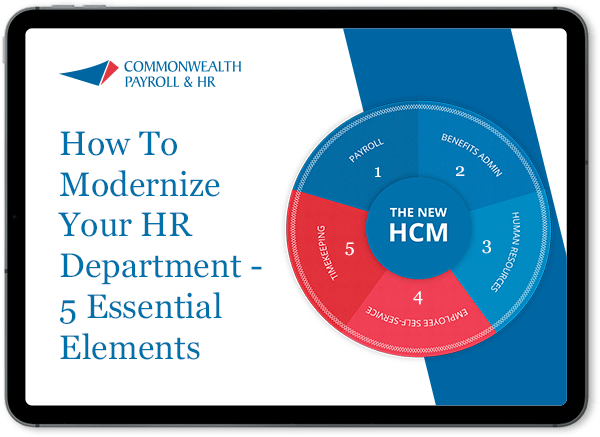 Commonwealth offers payroll with the qualities you expect – efficient, accurate, and secure – with features you didn’t know you could hope for – an entirely customizable technology solution that fuses payroll, benefits tracking, HR, and time & attendance. 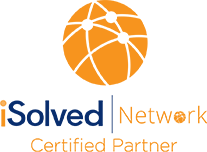 iSolved, our all-in-one database platform provides a dashboard for better business decision making, a powerful employee experience, and tools that help you solve today’s human capital challenges. These challenges range from the simple, such as calculating paychecks, to the complex, like dealing with the ACA employer mandate, managing benefit open enrollment, and efficiently dealing with employee time tracking.